Add vintage charm to any garden with our classic 19" Wind Spinner Stake. 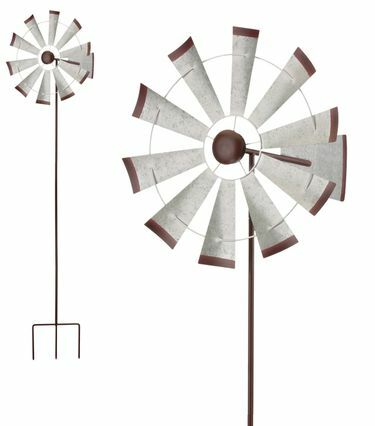 This galvanized windmill has a rear blade that rotate the front spinner into the wind for extra spinning action! Comes with a sturdy 3-pronged fork to secure it to the ground.